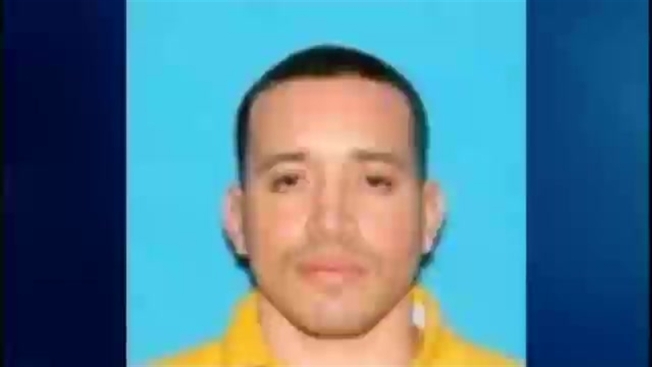 Jorge Zambrano, the man suspected of killing a Massachusetts police officer over the weekend, has a long criminal history, including possession with intent to distribute, carrying a gun with a silencer and illegal operation of a vehicle, but the most troubling charges are a number of violent assaults on police. The man who gunned down Auburn Police Officer Ronald Tarentino during a traffic stop Sunday also tousled with two Worcester police officers nearly a decade earlier. It was December of 2007, and Zambrano was out on bail on another case - drug and firearm charges - when he punched a Worcester police officer in the face. According to court documents, a second officer came to help and Zambrano "violently punched and kicked the police officers and got away," coming at them with a knife before he was finally placed under arrest. For that case and the earlier drug case, Zambrano pleaded guilty and was finally sentenced four years later in 2011. Because he had been behind bars all that time, he earned credit for time served and was released in November 2013, nearly 40 days ahead of schedule for good behavior in prison. That good behavior wouldn't last long - just this past January, he was in trouble again when he was pulled over by Worcester police. Another violent encounter. According to court documents, when the officer approached the car, Zambrano grabbed his uniform and tried to pull the officer "into his vehicle with a large pit bull inside." Zambrano pleaded not guilty to assault and battery on a police officer. He was put on probation and the case was continued without a finding until March 2017. Then in February, the Worcester County District Attorney’s Office said Zambrano was arrested in Clinton on domestic violence charges. The district attorney asked for Zambrano to have his bail revoked on the assault on a police officer case, but the judge denied the request. Worcester County District Attorney spokesman Tim Connolly said they also asked for $2,500 cash bail on the domestic violence charge, but the judge knocked it down to $500. Zambrano posted bail and was released. Then last Monday, Massachusetts State Police pulled over Zambrano and found he was driving with a revoked license. The trooper arrested him and he was arraigned in Worcester District Court. It’s unclear why, but he was again released on personal recognizance. The district attorney’s office said it is reviewing the case. Zambrano was later shot and killed on Sunday after a day-long search and shootout involving law enforcement.